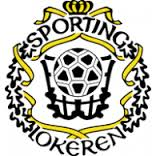 the geordie times online (newcastle united archive fanzine): 'LOCK IN' AT LOKEREN? News that we might? play an away friendly against Belgian side Lokeren pre season haz reached 'The Geordie Times'---a groond we have aalredy previouslee visited in The Inter Toto Cup! Othaa friendlies are rumoured at Bornley and Donny Rovers--again!--groonds we have previousleee visited! A trip to Ireland haz aalso been mentioned az well az a home game in the week before the new season starts! We shall see and keep yoo posted az to any developments on the above!